I tried setup eyelashes with uv texture without using shaders nor hair particle system, because hair particle system is a bit naughty and I'm going to use it later on in three.js, which doesn't welcome complex shaders. 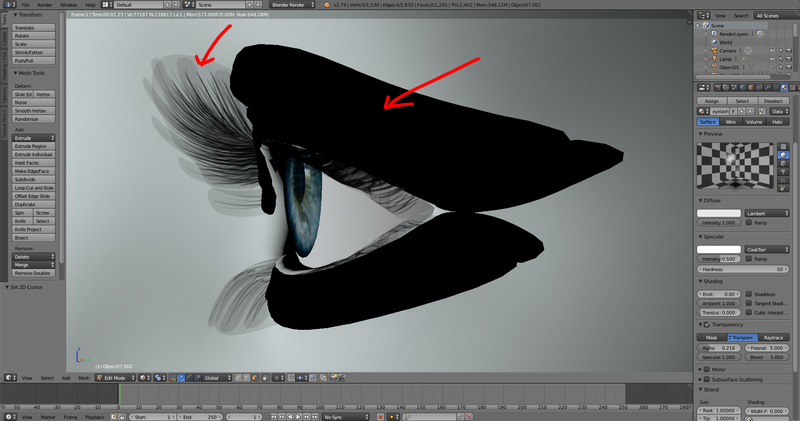 What I tried is assigning a transparent material then map the eyelashes to uv texture, but I can't get it working correctly. As you can see the eyelashes still has a bit translucent surface around. Also when I turn on 'receive transparent shadows' on face mesh, it somehow still receives a complete solid shadow. The light in scene is lamp-spot light. .
How to accomplish this grany nosy shadows texture effect?